Should I go to throwing class which was right after advanced grappling? The judo junkie, deep within, was calling. The voice, Do it! You know you want too! I admitted it. I wanted too and I didn’t care about the consequences. I hated that voice. I lined up. All five of us. 45 minutes later. ” We’re running out of mat. I thought to myself. Sweat dripped off my forehead. We were by the front entrance corner. I was hip to hip, side by side, and leaning forward with Ramon Sanchez, ex Cuban judo olympic team member of 1980s. We were even in height and weight. I had a tight grip around his belt and waist. I tried a sit down foot sweep. He rotated his weight back on his heals. I looked foolish. I went back to the hip grip. I frantically tried to think of the throw’s Jimmy had taught. Jimmy was the previous throwing instructor. I came up with nothing. I sensed something bad was coming. Pow! I was sailing through the air. I hit the mat. Ippon. He threw me for an Ippon ????? An Ippon was a throw where the opponent was completely in the air, no body part touching the floor. He landed right on top of me. I couldn’t remember ever being thrown like this. I dreamed of being in the judo olympics as a kid. Today, I had the closest simulation that I would ever get to Olympic judo. Finally, I could put that dream to rest. The Gracie fundamental classes teach street fighting defenses against standing grabs. There are around nine grab defenses. Going immediately to the floor in a fight, floor grappling, could be the worst place to go in a crowded area, bad floor terrain, or hostile unknown environment. Staying on the feet maybe the best option. This week, we learned the defense against a straight-arm thumb down collar grab. This was when an aggressive person grabs the collar or shirt, straight-arm, with the thumb facing the floor. I wasn’t clear on the setup, or why. The defense goes as follows: tightly grab the opponents wrist, the one on the collar, with both thumbs facing down. Step back to drag the opponent off-balance then step back into the persons ribs. While stepping in, the outside elbow slides over the opponents elbow. The opponents palm should be facing the ceiling. The defender should have their elbow touching the front knee in a squat position. The break was holding pressure on the opponents elbow while lifting up the wrist. The attacker’s body will be bent over with arm and shoulder locked up, a very vulnerable position. Why would anyone grab an opponent with a straight-arm thumb down on the collar? This was an awkward way for an attacker to grab someone. I would guess this would be a judo gi grab in preparation for a throw. Without the full move, the attacker’s arm could be broken just by a quick grab of the wrist with both hands, thumbs facing down, and a strong turn in the thumb direction. How could the thumb down straight-arm collar attacker prevent their arm from being broken? I would guess the second-hand would have to grab the defender’s elbow at the same time so as to prevent the defender from turning , or from preventing the defender from grabbing the wrist with two hands. What throw would a person attempt with the thumb down collar grab? I don’t have an answer. 1) Scissor Sweep. when opponent posture’s up. 3) Guard Turnover, I don’t remember the opponents position. 4) Fall back from the guard, when the opponent escapes the guard to a standing position. As far as drills, we would take turns being the opponent and make various positions to escape and the person doing the guard would use the appropriate sweep. Then we worked on combinations of sweeps with chokes and fakes with sweeps/choke attacks. Because of a lower back injury, I have been taking it easy. It’s a dull nagging pain which I feel every time I walk, when I roll over in bed, or get out of bed. Last week I aggravated it when I was paired up with a guy more than 110 lbs my body weight. I guess I was the closest guy to in weight and height on that day. I am turning 45 next month. I noticed that I have lost some muscle mass. I have been looking at Ensure since they claim that they have a formula to regrow lost muscle tissue. I may give it a try. Grey hair is coming in. New wrinkles. When your in your twenties and thirties, the idea of death doesn’t even enter the mind but when you hit forty, the idea of death enters the mind. The day will arrive. 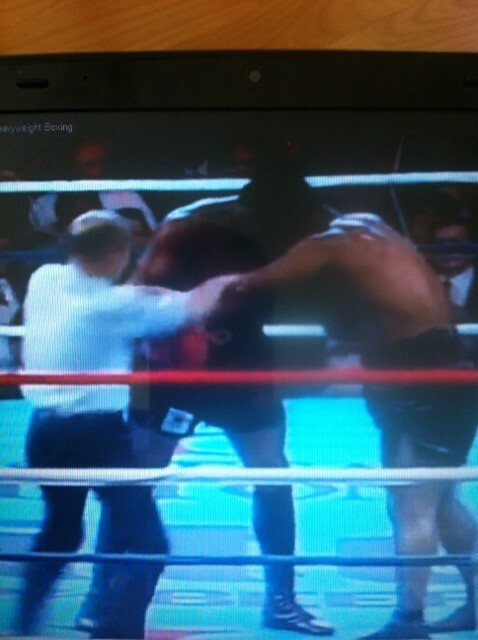 Have you ever seen a heavy weight boxing match that goes into late rounds where two fighters clinch out of exhaustion? After a few seconds, the audience would start to boo, a referee would separate the fighters, and then they would do the clinch a few more times. Sometimes a fighter would get a second wind and go onto a knock out, but more times than not, the win would be called by a judge. Boxer clinching occurs often in a street fight; thus, the technique of Esqrima was reviewed this week. Esgrima means in Portuguese, fencing. This was when two fighters were in the clinch, one arm over over the opponet’s arm grabbing the back of the bicep, and the other through the arm pit grabbing the back of the shoulder tightly. If the opponent escaped the clinch, there was danger of an elbow strike. The head should be tight to the opponent’s shoulder. Esgrima was a drill when two fighters switch position from shoulder to opposite shoulder without losing position hence the analogy of fencing, back and forth. We practiced switching sides three times then attempted a cinturada, a throw. The key, was when the opponent’s shoulder holding arm was not held tight. This would allow the shoulder hand to easily slip down to the lower back and grap the top of the bicip holding hand, then with the head, over the heart area, presses into the chest while pulling. This would cause the opponet to fall to the floor. If the opponent hikes the hips out, then Osto Gari, lift one leg and turn. Probably not the arm bar your familiar with. This week, we learned the arm bar from the guard. It is not like most arm bars because the finish was with the body to the side. The reason for the finish to the side was to avoid a strong man from having the ability to body slam. Since the arm bar was from the side, an opponent couldn’t lift you into the air for the purpose of a body slam. This was a brilliant move by Helio Gracie. If there was a move that I want to perfect it would be the guard arm bar Helio style. Here are the steps: Start with the opponent in the closed guard. The opponent breaks free and does a one handed throat choke. 1) grab the choke arm with a tight baseball bat grip. 2) immediately open the guard legs. 3) The opposite of the held arm, put foot on hip of opponent. * 4) The hip stays in place and the body stretch back while the free leg comes over the arm. 5) Break arm. As of writing this post, I am currently a three striped blue belt. I may have missed a detail. In any case, I recommend seeking expert instruction.